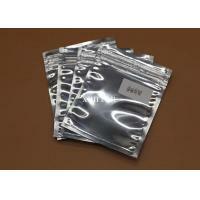 ESD Shielding Bag is widely used in electronics, food, pharmaceutical, refrigeration industry. 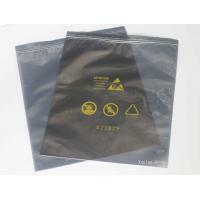 Many years of experience in printing, packing industry and exporting. Strict quality control, the QC department strictly carries on a precise process to ensure the best quality. We have the most professional overseas sales and customer service team. You can feel free to contact with us at any time you want. 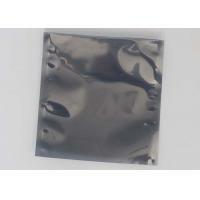 We have huge products selection. 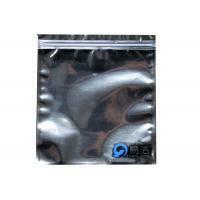 Our product ranks from wholesale metallic bubble mailer(Express bags)Bopp bags, shopping bags, Zip-lock bags,Stand up pouch, Aluminum foil bag, PE bag, etc. 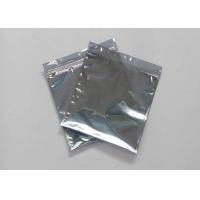 medical grade packaging are also within our business activity. We believe that we can be your reliable partner and hope to grow together. Q: Can you customize the package for my company? 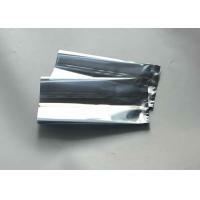 ing manufacturer of custom making package with over 17 years experience, surely we can help you about that. Q: If I want to order from you, what's the MOQ of this bag? 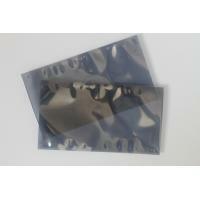 A: Usually, the MOQ of Bubble Mailer/Envelope is 10000pcs/size/design, which is depends on your specific requirement. Q: Do you have any inspection for the products? A: YES, we do have strict-standard inspection in every step of the production and before shipping to make sure the products are qualified. A: We are honor to offer sample, please feel free to tell us details so that we can help further. Shenzhen Xunlan Technology Co., Ltd. 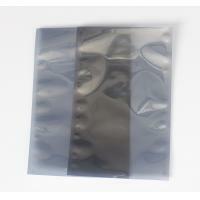 It mainly produces and sells anti-static and shipping packaging products. The company's subordinate plant: According to the market demand development, Shenzhen Yijie Packing Products Co., Ltd. was established in 2005, After the establishment of the company, it invested huge human resources and equipment resources, and devoted itself to research and development of anti-static technology. It achieved breakthrough electrostatic treatment technology in the composite plastic surface layer using PET composite CPP, bringing anti-static treatment technology into the era of high-demand product packaging. In order to adapt to the competitiveness of the company and cooperate with customers in the integration of product packaging and procurement, In 2006, Xunlan acquired Shenzhen Riyuejia Packaging Materials Co., Ltd.,. This factory mainly producing shipping bubble mailers, metallic bubble mailers, poly bubble envelopes, kraft paper bubble mailers, padded bubble mailers, etc. Today, Xunlan Group has become a fully diversified production and international famous product agent, providing packaging solutions for high-tech products, PC boards, hard drives, precision products, gifts, clothing, etc. It is the purpose of our company that unites us and innovation can bring real success. You can see the brilliant achievements of our loyal customers, including Huawei, Foxconn,Xinjiang, Libang Precision and so on. Looking ahead, Xunlan Group will continue to enhance its strategic competitiveness to support its customers' continued growth and success. We are still committed to assisting customers in integrating current advanced packaging technologies (such as anti-static treatment technology: anti-static pearl cotton, anti-static sponge, anti-static bubble bags, anti-static carton, anti-static foam, etc.) with daily business activities. . In this way, we can make our customers' products ahead of the market and enable them to win in the industrial competition.